We are participating in Open House London on Saturday 21st September 2013 by providing guided tours of a green retrofit exemplar project at 1 Lambourn Road, Clapham, SW4 From 10am till 6pm. 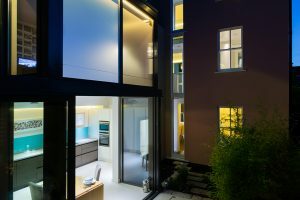 The house has been designed as an exemplar for what can be achieved with green retrofit design and technologies. It presents a useful case study for people who would like to reduce the environmental impact of their home renovation / build project, but not necessarily to the extent of designing to passivhaus standards. We welcome visitors who would like to learn more about their options for green retrofit building. You can find out more about Open House London here.